About two weeks ago I flew out to L.A. to shoot behind the scenes photos for Royal Enfield Motorcycles as their product was featured on Jay Leno’s very popular web series “Jay Leno’s Garage.” For those who don’t know, Jay Leno has a legendary automobile collection. It takes up several buildings and features many unique and one of a kind cars, motorcycles and steam engines. The photos from that day have been taking over the blogosphere and today, Taylor Mahoney Photography was featured on David Blasco’s blog, royalenfields.com. 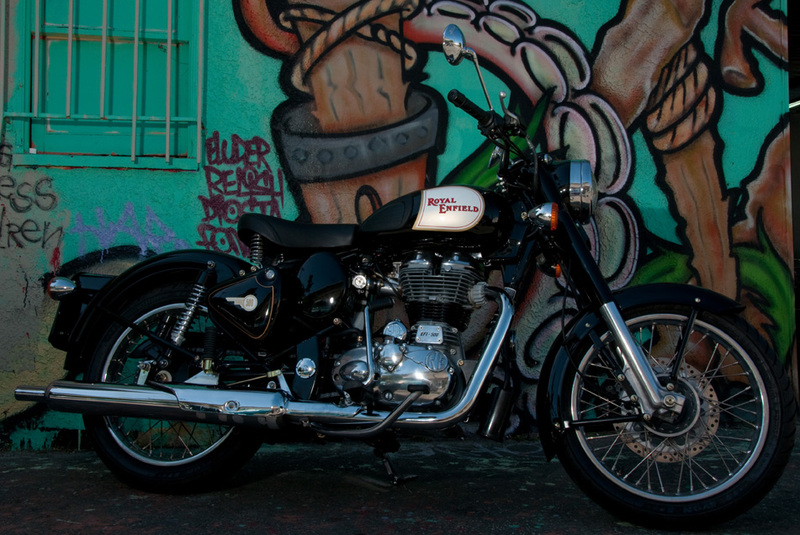 David is the former photo editor of the Miami Herald, and now writes a blog dedicated to his other passion, Royal Enfield Motorcycles. Hit the link to visit David’s blog and see some of my photos from the shoot, enjoy. Link to davids blog. This entry was posted in blog, photography and tagged california, photography, travel. Bookmark the permalink.